If you have customer service, sales or technical support function in your business there is no doubt you have probably considered call centre outsourcing in Australia already. And if you haven’t, you should! But with an overwhelming amount of options and some seemingly attractive pricing overseas in nearby countries, it can be difficult to understand the risks and benefits of call centre outsourcing in Australia as the available research material largely consists of content written by call centre outsourcers, each, of course, trying to explain the virtues of their respective businesses. I’ve worked in the contact centre industry close on three decades and spent a fair chunk of that time working specifically in and around call centre outsourcing. This article aims to provide you with a vendor agnostic, marketing free overview on the why, where and how to outsource call centre functions if you are an Australian business. Call Centre Outsourcers are industry professionals who have honed their professional skills over decades of running call centre operations. And unlike your business, running efficient and effective call centres is the outsourcers core business. Their business literally lives or dies on how they serve your customers so they are very much invested in ensuring they get it right. There are lots of ways a call centre outsourcer can save you money. Call centres require lots of support roles to function effectively including HR, IT, Workforce Management (e.g. rosters) recruitment etc which, especially for smaller centres, can be cost prohibitive. When you outsource your call centre functions, the outsourcer will provide all the necessary (and highly experienced) support functions so you don’t need to hire them yourself. Of course, you’ll also benefit from their experience in running efficient operations and using their technology platform which again, can save you a considerable investment. Whilst cloud contact centre solution make accessing the latest technology more affordable than ever, having the technology and using the technology can be two very different things. With the rapid uptake in Social Media channels, outsourcers can also help you implement a multi-channel or omnichannel solution, implement speech analytics, build and manage complex rosters, design IVR flows for you and more. What type of functions can be outsourced? There is really no limit on what function can be outsourced, albeit there are certainly outsourcers who specialise in some functions more than others. Sales – everything from inbound sales, outbound telemarketing, direct response, lead generation, appointment setting, order taking, upselling, fundraising and retention. Technical support – Helpdesk support, problem resolution and troubleshooting. Collections – either handling inbound payments or making outbound calls to recover outstanding debt. Surveys – outbound calls to survey consumers and businesses on a broad range of topics. This can also include database cleansing to improve the quality of your list. Fundraising – similar to sales with a focus on raising funds for charities/not-for-profits. This can be both outbound and inbound (charity drives etc.). Is there a minimum or maximum volume that can be outsourced? There are a range of solution providers in the marketplace that can help with everything from handling a few calls through to managing your entire customer experience. 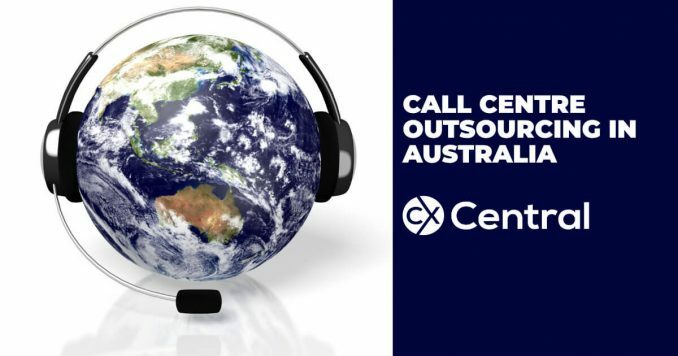 How does Australian call centre outsourcing prices compare with offshore solutions? As you can see, for some countries, there is quite a wide range. The devil really is in the details and often call centre outsourcers use a range of different pricing models making it difficult to compare pricing. For example, many will advertise a low hourly rate which can seem attractive, but then they add call costs, team leaders, reporting etc or have different rates depending on shift times. And like any industry, there is a wide range of skills and experience that can have a large influence on pricing. For example, call centres that focus on B2B or have extensive experience in a particular industry may have higher rates than a ‘general’ call centre that just takes overflow calls for customers. The key thing to note is that traditionally, outsourcers have essentially been a margins-based business. I’m simplifying it somewhat, but like any business, the outsourcer is essentially looking to ensure they make a certain profit margin above their costs. Outsourcers engaged to make outbound telemarketing calls on a commission-only basis (high risk for the outsourcer). Outsourcers answering incoming customer service calls being paid per agent per hour (low risk for the outsourcer). So in simple terms, the higher the risk to the outsourcer, the higher the equivalent hourly rate you will pay. I cover off all the different models in my free Call Centre Cost Guide. Why are the Australia call centre prices so high? The prices above are fully outsourced meaning it includes things like the management team and supporting roles like HR, WFM etc as well as building costs, technology etc. Whilst that can seem high compared to the minimum hourly rate in Australia (Around $21), by the time you add in Superannuation, recruitment and training, the infrastructure etc there isn’t a significant margin for the call centre outsourcers. Yes, you might pay a small premium above doing it yourself, but without the stress of constantly finding and managing staff, learning, managing and optimising technology, building overheads etc plus with their years of experience, outsourcers typically run far more efficient operations than captive centres. For some businesses who are getter better at understanding their customers, there is the option to route calls to either different agents or even different countries. This, for example, could allow you to send your low-value calls offshore and keep the high-value calls here in Australia. Functional – selected call types (e.g. sales or service) are handled by the outsourcer. Value-based – defined customers are routed to the call centre outsourcer. They could include high or low-value customers. Time-based – designed to support existing in-house operations during peak periods or during certain times (e.g. night shift). Overflow – designed to support existing in-house operations only during peak periods or to handle ad-hoc campaigns. Why not send the call centre offshore? I’ve always maintained that no one sends their call centre offshore for a better customer experience. So if your primary focus is just to save money, offshoring is still the best option for you. But it’s not probably as good as you think. The direct costs in managing an offshore call centre can often really add up: more travel costs, more training and the often high turnover of staff in some offshore centres can take the gloss off the expected savings. The fluctuating Australian dollar also isn’t helping – thanks to the declining value of the AUD to USD the cost of outsourcing to the Philippines has increased by 30% over the past 5 years and along with other factors, the Philippines call centre industry is starting to show signs of a decline. Tanking Australian dollar aside, the costs that can be harder to quantify is the cost of a poor customer experience on your customers. If your customers don’t embrace the offshore experience and ultimately leave your business, it can often take years before those numbers really start to filter through. Keeping a close eye on your customer satisfaction and ensuring your offshoring partner is equipped with all the tools they need to succeed can be a good way to offset some of that risk. Read my article on Do customers really care about the call centre location? for more insight. Engage us to help locate, onboard or optimise a call centre outsourcing partner using our CX Consult service. If you would like to learn more, I’ve also written the Complete Guide to Call Centre Outsourcing in Australia and a Call Centre Outsourcing Cost Guide that you can download for free by subscribing to our newsletter.